It's All About Me & Mine: A variety of projects. 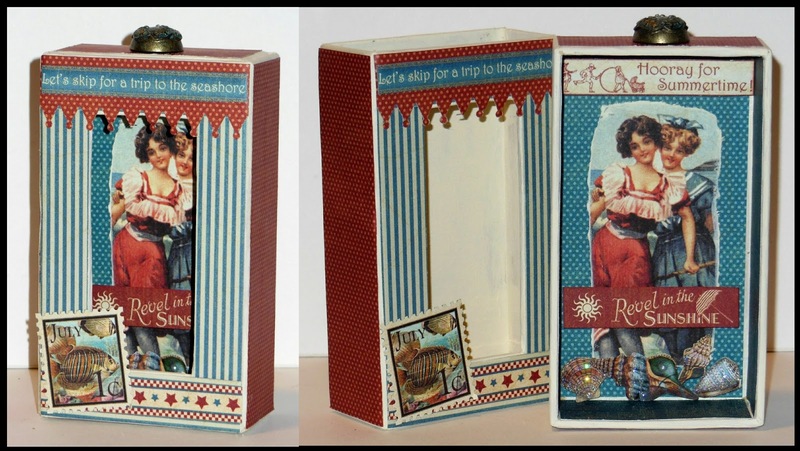 The matchbox bathing hut, the note pads and the snapped notepads are all little projects I made using Graphic 45 papers. The letter V was for an AFTCM Altered Alphabet Letter swap where we altered the first letter of our partners first or last name.